Learning how to grow maize is an art. Photo: Ove Gejl Christensen, ADDA. ADDA has since 1994 worked in developing countries to provide poor farmers in Asia and Africa the exact knowledge they need to improve their agricultural practices and in this way to increase their crop yields and profits. A core value in ADDA’s vision is the local cooperation. 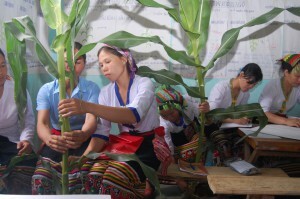 The method that ADDA uses in its projects is the so-called Farmer Field Schools where local instructors receive a training education in an agricultural school in the area. They then implement a field school course for local farmers in each village, which usually lasts 3-4 months, corresponding to a growing season of for example maize. 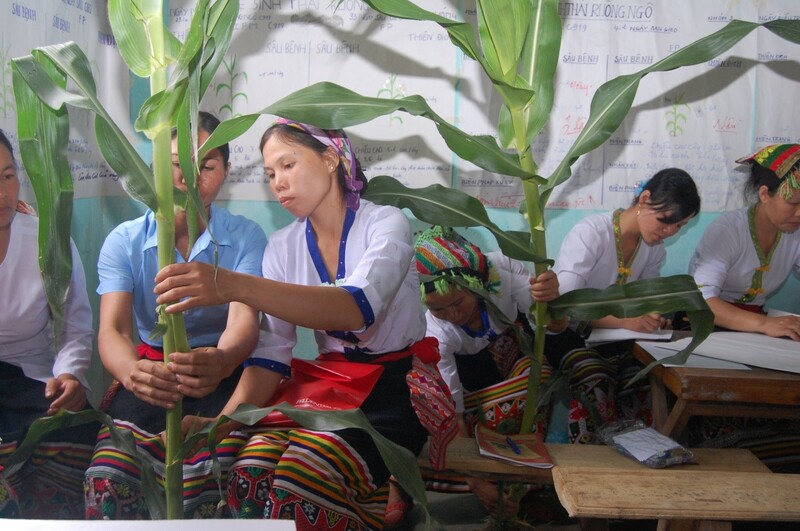 The participatory teaching provides a valuable basis for comparison amongst the farmers that can constitute in a longer perspective the basis for the formation of cooperatives or self-help groups which would benefit the entire local community development. An important part of ADDA’s policy on development projects is the collaboration with local partner organizations. ADDA always works in close contact with one or several relevant organizations in the countries, where the projects are carried out in order to promote the work of local communities. It means that ADDA’s aid remains in place when the project ends. That’s what we call real self-help.